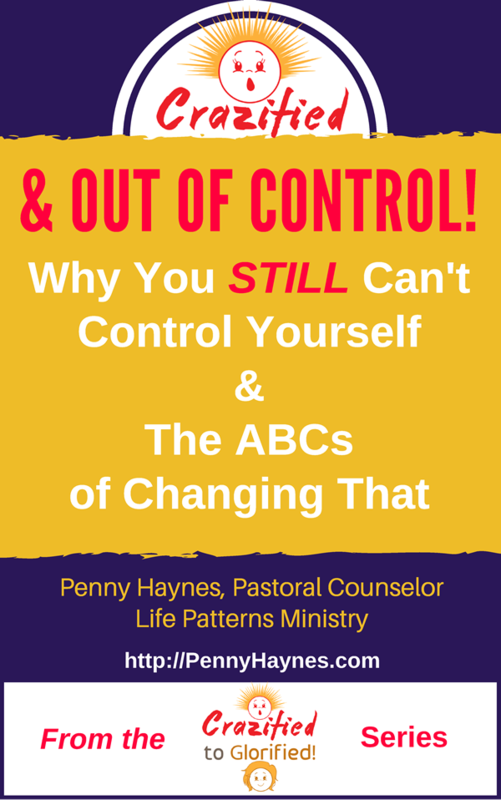 If you like this event, feel free to also take advantage of the FREE membership to this web site with access to my 28 Lesson Life Pattern Course, and free e-book, “Crazified & Out Of Control”. 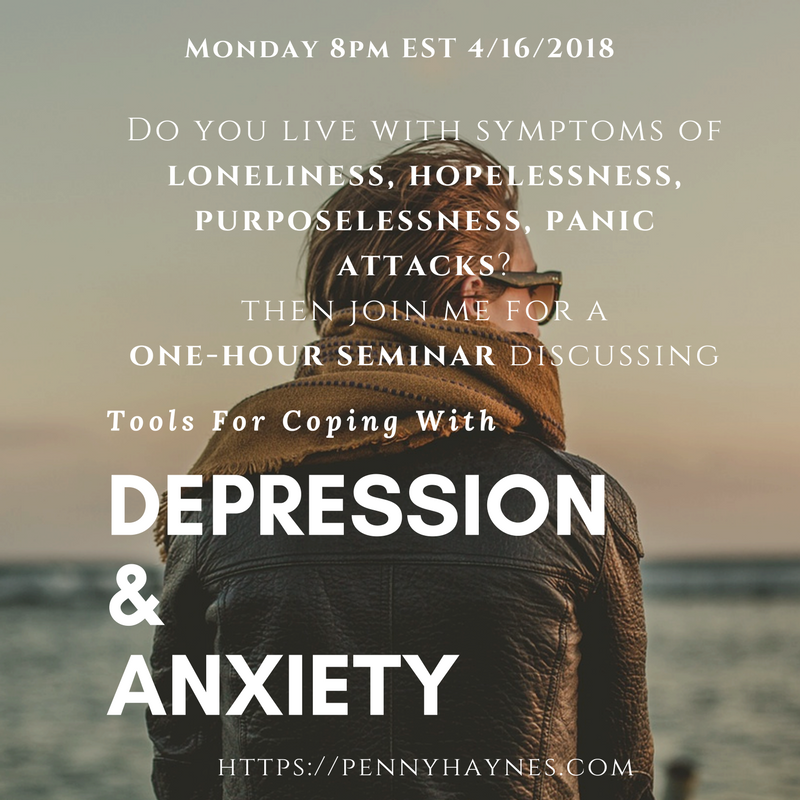 This one (1) hour live video seminar will spend the hour discussing multiple practical tips for dealing with symptoms of Depression and Anxiety. If you have questions, please feel free to contact me through the Contact Penny form.